All custom wood signs are hand painted with a paint brush. I am crazy about what I do! No other custom wood sign shop on Etsy offers you the highest quality and unbeatable value. Not to mention fast and friendly service. Who you buy from can be just as important as what you buy. In my shop, the keyword is QUALITY. Let your home tell the story of your interests, priorities and relationships. Let The Crafty Splinter create those unique artworks for you! My soon-to-be sister in law was stressed about her wedding so I asked if I could take care of her guest book. I knew this sign would be perfect! It ended up being too perfect because my SIL decided it was too nice for people to write on and is making it her welcome sign instead. Still out a guest book, I emailed the owner and she was able to make a guest book sign that complimented the previous one. Love my custom made sign! Dana was great to work with - she really made sure to capture the design I wanted. She’s definitely my new go-to artist. I thought it was going to come out white but it didn't i think you have to specify this in the notes. but overall great piece! This farmhouse decor inspired custom wood sign has a thicker frame and a solid white background. PERFECT for drawing attention to your very own custom message. Skip the generic signs you find at the local box store. Tell your own story! This custom retirement sign makes an excellent gift for retired grandparents! Perfect for retirement parties, birthdays or just for! Your older friends will appreciate the authentic details that comes along with this handcrafted custom wood sign. I've been working hard on some new designs the past week. This custom wood sign features a decorative frame paired with a clean white background. I'm hoping it appeals to the more "mod industrial" decorators. What do you think? We believe in authenticity. My custom wood signs are crafted in the Midwest and reflect the Heartland. This season's custom sign font options! Framing colors for our custom wood signs. Over 1,000 wood signs have been crafted here. My infamous bright blue workshop bench! 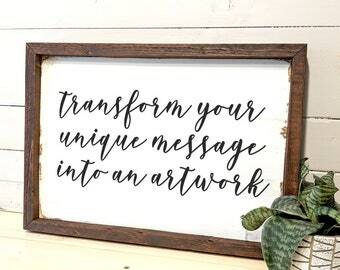 Turn your messages and quotes into authentic artworks with a custom wood sign! Welcome to my custom wood sign shop! In 2015, I turned my excitement for making things into a business. In 2018, my family joined in to make The Crafty Splinter what is it today! Don't you deserve the best? We create hardy and rugged wood signs; signs you'll be proud to own! You'll appreciate my dedication to 5-Star service and unmatched quality in production. Am I claiming too much? I don't think so! I offer the highest quality wood signs on Etsy. 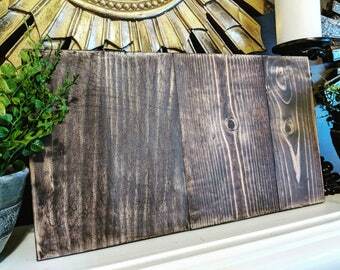 My shop offers a stunning variety of custom wood signs and farmhouse decor. Most of my items can be customized with various colors and styles not listed. Let me know what you need! You'll also find fast, friendly service and unbeatable value. I offer the added advantage of pure raw passion. Using my passion for creativity and building, I help real people incorporate positive and uplifting messages into their home and workplace. When I'm not working in the wood shop, you can find me hanging out with family and friends. I couldn't do any of this without my amazingly supportive family!! Wife, Mom, Lover of all things Crafty. I'm thrilled I get to make custom wood signs and decor people love! During the lawn care "off season", Seth applies his contractor background by measuring, cutting, sanding and prepping signs for hand lettering! If he's not scuba diving or caving, DJ, aka "Dad" is packing a bazillion signs and prepping them to ship out to their new owners! OR keeping the grand kids out of the shop so Mom and Dad can work! When she's not first mate on a dive trip, Angie helps our crew by keeping track of order management (a BIG job! ), keeping Dana on track, answering emails and other office duties. Do I have to approve my proof before you start work on a custom wood sign? Are your custom wood signs hand panted or do you use vinyl? 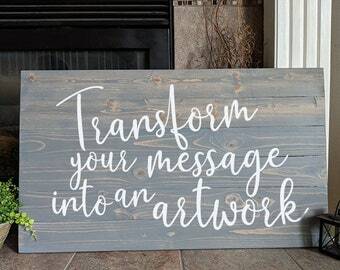 All custom message signs listed are truly 100% hand painted or hand lettered with a paint brush. Can I "rush" my custom wood sign order? Yes! I offer limited amount of rush orders each month. This usually takes 1-3 weeks off processing time. Please message me first before purchasing to make sure I can accommodate your request. Rush shipping is $20-35 and you must provide an email so I can request payment via PayPal. You do not need a PayPal account to pay. The #1 question I get is "when will my order ship?". Please check your order receipt for an estimated delivery date. All custom wood signs and standard designs are "made to order items" and can ship anytime during the estimated shipping time frame. My signs always ship on time. I recommend you sign up for production updates. Make sure your shipping address is correct before ordering! I only have what I'm given. It is the buyer’s responsibility to ensure the shipping address provided is correct. This includes contacting the carrier after your item is shipped. Delays do happen with carriers in transit. 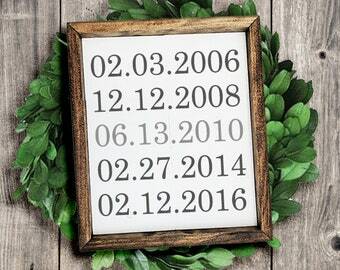 Tracking information does not always update in a timely manner, especially during the holiday seasons. How many words are included on a custom wood sign order? Please review the item description for word limit. Additional words are $0.75 each and billed extra. 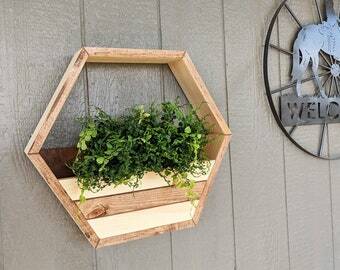 How do I order a custom wood sign? 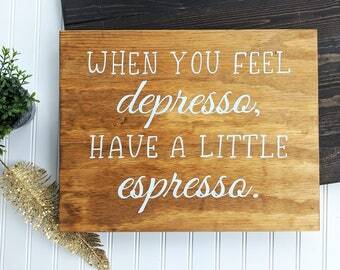 Find a custom wood sign in my shop you love. Read the description and make sure it works for you. Check the processing times. Order your sign and include information for your custom message in the notes! Do you do discounts on custom wood signs? Of COURSE! Join my VIP list and receive a 15% off coupon as soon as you join! Do you send status updates on my custom wood sign? 2) When it's ready to ship. 3) When it's shipped (Etsy will notify you). Can you do a different size than what is listed. I can very likely accommodate your requests, no matter how big or small! Just sent me a message and we'll have a great time working out some deets. What is Your Return Policy on Custom Signs? Because of the nature of these items, unless they arrive damaged or defective, I can't accept returns or give refunds for custom wood signs unless they contain an error on my part. Exchanges/Returns are for damaged items only. Differences in wood grain, distressing patterns or stain variations are not acceptable reasons for a return. Most damaged signs are eligible for full replacement as long as you contact me within 3 days of delivery. In the rare case of a full refund (damaged signs are replaced asap), signs must be returned before a refund is issued. Shipping is not included in the refund.